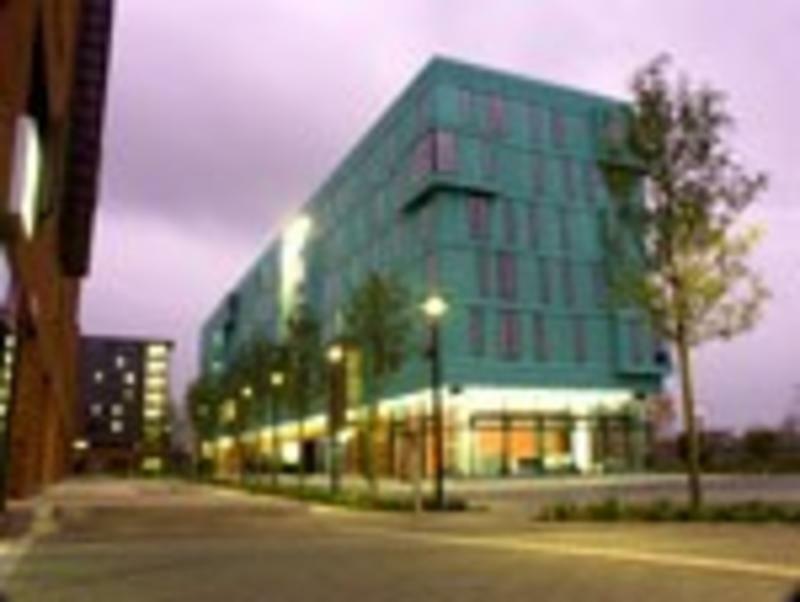 Queen Mary University of London offers comfortable and secure private bedrooms in Campus Accommodation. Guests have a choice of single en-suite and twin bedrooms on a bed and breakfast or room only basis. Bed linen and towels are provided and on site there is a campus shop, laundry, internet access (additional charges apply), 24 hour reception and campus security. Luggage storage facilities are available on site. A charge may apply please ask at reception for details. There are several convenience shops, bars and restaurants in the local area. Located in Mile End, the Campus is a five minute walk from Mile End Underground Station (Central, Hammersmith and District Lines) and approximately 10 minutes from Stepney Green Underground Station (District and Hammersmith Lines). Taking just 10 minutes on the Underground from Mile End to Bank, and 20 minutes to Oxford Street. Queen Mary is a good base for both those sight seeing and those visiting the City or Canary Wharf. It is also possible to walk to the 2012 Olympic site and Stratford's new Westfield Shopping Centre. Victoria Park is a short walk away, making this an ideal base for guests attending concerts/festivals taking place there. Brick Lane, famous for its wealth of curry houses is just a short bus ride away, as is the night life of Shoreditch and Hoxton for those looking for alternatives to the West End. Guests can stay with us between 12 June and 10 September 2013. Check in is from 2pm onwards and rooms are to be vacated by 10am on the day of departure. * the balance is to be paid upon check-in. Payment is by credit or debit card only. Cash/cheque not accepted. * smoking is not allowed on the Campus (indoors and outdoor areas). 24 hour reception: The reception can be found at Sir Christopher France House which is the large green building next to the Canal, open 24 hours a day. From Mile End underground station turn left out of the station. At the crossroads continue walking ahead under the yellow bridge. At the next set of traffic lights, cross to the opposite side of the road. To your right you will see Westfield Way and a blue sign for 'Queen Mary, University of London'. From here walk down Westfield Way towards the Student Village. France House Reception is on your right. From Stepney Green station turn left and continue walking for 10 minutes until you pass the Queens Building on your left, keep walking for 200 metres. To your left you will see Westfield Way and a blue sign for 'Queen Mary, University of London'. From here walk down Westfield Way towards the Student Village. France House Reception is on your right. By train: The Docklands Light Railway (DLR) links Lewisham in the south with Stratford in the east, Bank in the City and London City Airport. The nearest stations to the College are Bow Church and Limehouse, both within one mile (1.5km). By Bus: There are two 24-hour buses that stop at Mile End (Numbers 25 and 205). Timetables are listed at the bus stops. By Car: Located on the A11. Please note that unfortunately we have no overnight parking available for guests.